HEROES of KSCOPE MUSIC: No Constable, What We Saw Wasn’t A Mango Thief, Nor a Persimmon Thief, and Certainly Not a Guava Thief, BUT MOST DEFINITELY IT WAS A PINEAPPLE THIEF!! Hello and a happy 2016. Well, for some of us anyhow. The Year of Cleaning House. Kind of hard swallow starting the year off with the icy touch of both David Bowie and Glenn Frey getting their souls sucked immediately out to join the choir invisible. Ugh, January and February are absolutely the worst months to lose living legends and childhood heroes. It’s the coldest time of the year, and dying in the winter just sends shivers of Walt Disney on ice up and down my spine. Wasn’t the greatest of Eagles fan. Sure, at times I look upon the title track of “Hotel California” to be part of the soundtrack of my short three-month tenure in Laguna Beach (and was Frey actually singing about the Hotel California that was off on the PCH on the outskirts of Laguna? Guess we’ll never know), but not as much as locking myself away listening to Rush albums and Yes’ Tales From Topographic Oceans or Relayer with a blunt in my mouth. Those latter two are the soundtracks of my life. Bowie, I could dabble with. He was certainly a favorite of my old high school gal pal Linda Freeman (now Yarosh)and her siblings. Both her and her brother Robert bought me a couple of Bowie albums for either my birthday or Christmas, most notably Scary Monsters and an $3.00 reprint cheap version of Ziggy Stardust and the Spiders from Mars. 1983’s Let’s Dance was another notch in my soundtrack of life, because it was the biggest pass around album from the time I spent learning audio engineering in Columbus, Ohio. And when I got back from finishing up a semester there, Linda called me out of the blue wondering if I could get her tickets for Bowie’s show at Madison Square Garden that summer. By the time we got around to seeing the show, we both got into separate accidents that resulted her getting her leg sprained and wearing crutches, while I had a diving accident at my apartment complex pool that required me to get stitches on my chin and neck. So we both looked like we had rushed over to the Garden directly from the hospital ward. I had bouts of Bowie fever in and out during the times I resided in California. Peter Frampton toured as his lead guitar player during the Glass Spider tour (was that ’87, ’88?- I’m not certain). I certainly liked his work with the Reeve brothers on both Tin Machine albums and I was definitely on board with “I’m Afraid of Americans” from whatever album that came from. But it was just a couple of year backs that I was sneering at his cheap reprise of his Heroes album cover on the Next Day– with the giant whiteout, wondering if he ran of ideas, and yet here I am mourning a little bit and feeling baffled about this whole chain of coincidences and omens that occurred with his final release, Darkstar. That video he made of “Lazarus“. Something about that video just doesn’t seem right. But this blog isn’t going to pontificate about the mysterious passing of David Bowie. Rather, we’re here to talk about an protégé genius in the realm of modern progressive rock disguising itself as Progressive rock grunge. Bruce Soord and his self-starter do it yourself progressive rock project, The Pineapple Thief grew in the same way that Steven Wilson nurtured his Porcupine Tree except we didn’t see the woods from the trees- but trial and error through self experimentation. 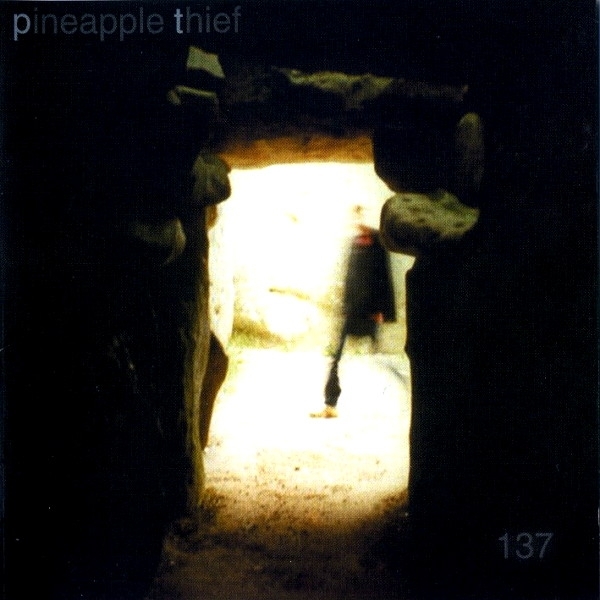 I’ve known and heard of the Pineapple Thief for just as long as I’ve been listening to Porcupine Tree. They were recommended to me by my old long departed CD distributor pal, Dave Mulloy from out of Riverside,California who was also at one time the head of the Spock’s Beard fan club. He told me that they had a certain flare for long proggy instrumental moments but came off at times sounding a little bit like Radiohead or the Cure. I said ‘sure, sign me up and send me a copy of their latest release’, which at the time was the mysteriously numbered 137, and if I recall, it was one of those albums in my prog rock queue during the late fall of 2001 and early winter along with the latest from Spock’s Beard and the debut of the super group Transatlantic. Fell in love with 137 instantly, but when it came time to order subsequent releases such as ‘Variations of a Dream’ or ’10 Stories Down’, Dave would tell me that they were instant sellouts and that was near impossible for him to keep them in stock. Shortly after The Pineapple Thief’s debut “Abducting the Unicorn” (which I still have to hear remixed or EVEN heard at all, it’s still the missing component in making my The Pineapple Thief collection complete) – Soord got heavy notice from major labels, but yet he settled on signing with the home-grown roots progressive rock label, Cyclops Records – and became that label’s biggest seller, surpassing sales of other label mates such as Citizen Cain, Landmarq, and the Pennsylvania area progressive rock group, Echolyn. 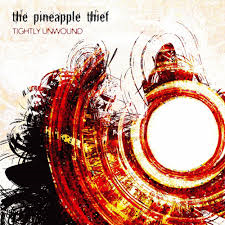 So I didn’t get to hear another The Pineapple Thief album until the 2008 release of Tightly Unwound, the first album EVER released on the Kscope Music label, a division of Snapper Music, all courtesy of fellow fan and music colleague, Steven Wilson of Porcupine Tree fame. I had picked up a copy during a trip to New York at Virgin Megastore in Times Square. This new venture with a higher profile label meant more exposure and they certainly won many people the worldwide over with their ever evolving myspace page. Between the time of the next two releases of 2010’s Someone Here is Missing and 2012’s All the Wars, Soord had re-released and remastered his hard to find Cyclops Records back catalogue, 2003’s Variations on A Dream, 2005’s 10 Stories Down, 2006’s Little Man (which is a sad opus of Soord dealing with a son lost to a miscarriage), and 2007’s What We Have Sown all in handsome new re-packaged artwork from Kscope Music. In addition to his leadership duties with the Pineapple Thief, Soord has branched out in collaboration with former death metal singer of Katatonia, Jonas Renkse to put out a duo album dubbed The Wisdom of Crowds, as well as serving as special guest star as a side guitarist on the acoustic shows that Katatonia toured for their Dethroned and Uncrowned album. Both bands’ catalogues are also available through the Kscope label. Here’s an outstanding track called “Frozen North” by Wisdom of Crowds that demonstrates the sheer ferocity and tenderness of Soord and Renske’s collaboration. I hope the two get together to come up with a second offering. Like his neighborly label mate, Steven Wilson, Soord is also dabbling into the arena of 5.1 remix engineering, working with the newly Kscope signed acquisition TesserAct on their DVD/A releases and helping Opeth out with refurbishing their back catalogue in the same deluxe format. 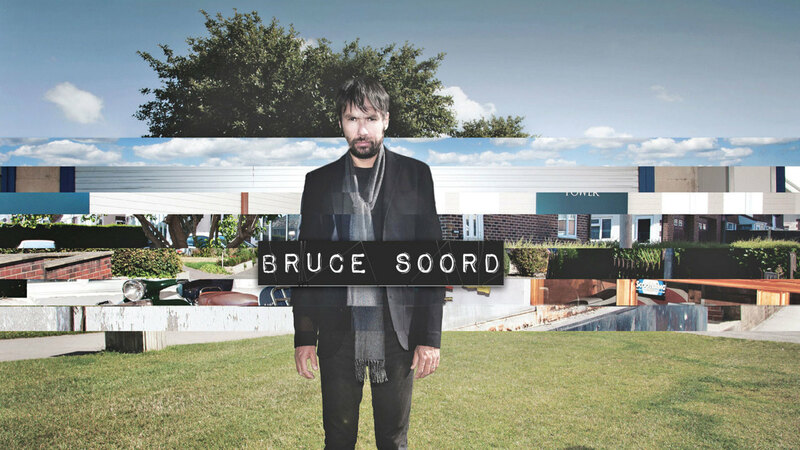 Last November, Bruce Soord finally took a step forward to release his first eponymous titled solo album. The following is a teaser of melodies from it. Soord demonstrates an unusual softer side to his music like the one heard on opening track “Black Smoke“, than the brawling alt rock punch attack heard on the recent batch of Pineapple Thief offerings, although his personal new material exhibits a little bit of the Stray Cats shuffle on The Odds, a memorable chorus on “A Thousand Daggers“. My personal favorite song on the new album is “Willow Tree“, which is really the only song reminiscent of The Pineapple Thief that comes into mind with this crazy horn synth fanfare at the end which is absolutely a dazzling experimental wonder to hear, that it makes me want to explore the horn preset patches on my synths to see if I can come up with something similar sounding. Soord explains that most of the song subject deal with the matter of growing up in a small English town. Here are the Wikipedia stats on Soord and his The Pineapple Thief bandmates, in case you’ve got too much Super Bowl on the brain to pay attention to anything I have to say and glossing over this to check out the pretty pictures. Founder Bruce Soord started “The Pineapple Thief” as an outlet for his music back in 1999. Bruce released the debut Abducting the Unicorn on Cyclops records, which created enough interest to establish a small but loyal fan base. Soord returned to the Dining Room studios to work on the second album 137. During this time, several major labels started to take an interest, causing a delay in the release which arrived over two years after the debut. However it was probably the third album, Variations on a Dream that gave TPT the boost they needed, reaching out to yet more people all over the world, by which point TPT were consistently the top sellers on their label, Cyclops. After this release in the spring of 2002 Bruce decided to form a band to take his music to the fans. The band consisted of his close musical friends – former university band mate Jon Sykes on bass, Wayne Higgins on guitars, Matt O’Leary on keyboards and Keith Harrison on drums. As a full band, they released 12 Stories Down in 2004, but Bruce Soord was unhappy with the final sound and re-recorded, remixed and changed some of the tracks before the release of 10 Stories Down in 2005. Matt O’Leary subsequently left the band, but Steve Kitch (who co-produced and mixed 10 Stories Down) joined to play keyboards. Let’s pause to show and listen to the title track of Someone Here is Missing. Which is a song I could envision Soord and company to perform live if ever they were invited as musical guests of Saturday Night Live. It puzzles me as to why this band is not more popular with those of my younger generations. They certainly have the chops to blow out half of whatever local station KROQ is playing today. Hopefully the band’s 2014 release called Magnolia changed all that. The band still has yet to hit the club circuit in the Los Angeles area. Fingers crossed that Steven Wilson will get them out here one of these tours someday. In May 2008, The Pineapple Thief launched the Kscope label with the critically acclaimed album, Tightly Unwound, which was marked by launch shows at Witchwood in Manchester on 17 May 2008 and at the Water Rats Theatre in London on 22 May 2008. The same day as the album’s release, a mini-documentary filmed at The Half Moon, London, was released through the band’s website, featuring interviews and two exclusive live tracks. This was followed in 2009 by The Dawn Raids EPs and 3000 Days, a 2CD re-mixed and re-mastered collection of songs from their ten-year history to date. In January 2010, their 2006 album, Little Man was also fully remixed by Bruce Soord and Steve Kitch and released through Kscope with new artwork. There are plans to gradually give all of their back catalogue the same treatment as the Cyclops albums are no longer available and sell for large sums in the second-hand market. 2009 also saw them supporting Riverside on the UK leg of their European tour. Someone Here Is Missing was launched at a show at Bush Hall, London on 19 May 2010, whose attendees included Kscope labelmates Steven Wilson of Porcupine Tree and Daniel Cavanagh of Anathema. The album also features artwork by the legendary designer Storm Thorgerson, who is famous for creating some of the most recognisable artwork of the last 30 years including albums by Pink Floyd (The Dark Side Of The Moon, The Division Bell, Pulse), Muse, Led Zeppelin, Biffy Clyro and Dream Theater. The album continues to nurture the band’s trademark ‘bittersweet’ progressive sound. 2010 saw a number of European festival appearances and a full 2 week tour of mainland Europe. This was recorded and released as the download only album “Someone Here Is Live”. The band entered the studio in January 2012 to record their ninth album, which included (for the first time) a 22 piece orchestra and choir. “All the Wars” was released in September 2012 and followed by a UK tour. 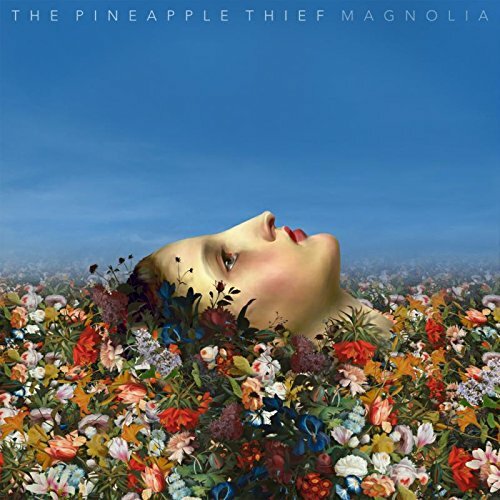 The Pineapple Thief’s tenth studio album, titled ‘Magnolia’ was released on 15 September 2014. It peaked at number 55 on UK Album Chart. Anyway, that about wraps it up. If you’re in the Hollywood area, Amoeba Records just got a whole new shipment in, as I was told that the previous initial shipment from last December sold out when I initially went out to search for it. When I couldn’t find a copy anywhere, I just went with writing last month’s Anderson Ponty Band tribute instead. My next Kscope tribute blog will probably focus on former death metal band turned alt rock Enya style new age soul searchers Anathema who have the uncanny ability to write uplifting rock anthems to make grown men cry.